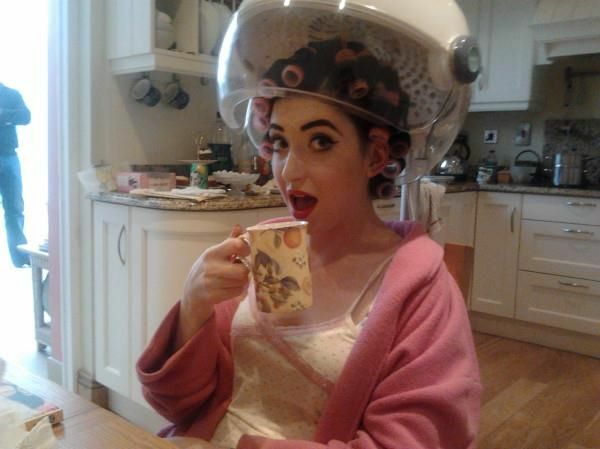 Yesterday was my Debs (same as a prom), and it was absolutely faaantastic! After months and months of planning with the committee, it was amazing to see it all come together. Our year had a blast, and the sore feet and headaches today are completely worth it! I brought my best friend Aisling as my date, as I didn't want the hassle of finding/bringing a boy and I knew I'd enjoy the night better if I brought her! Our Debs was held in the West Court Hotel, in Drogheda, and it was gorgeous. The club 'Earth' beside it was so brilliant and huge inside, and we danced the absolute night away in there! I didn't want to wear a typical Debs dress, as they're just not my style at all. 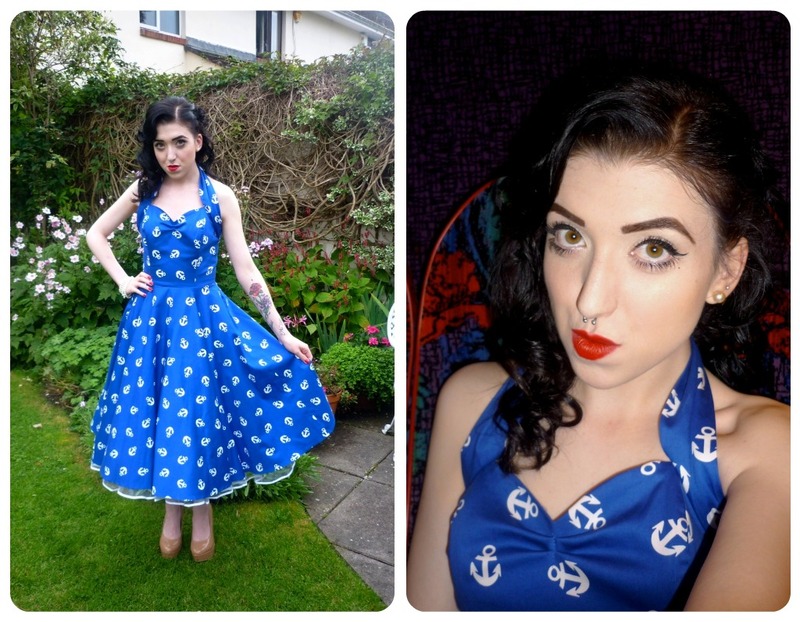 I opted for an Anchor 50s style dress, from Vivien of Holloway. The colour is stunning and as I wasn't going to wear tan, it'd go nicely with my pale skin. The dress was too big for me at first, but I had it altered and it fit like a glove yesterday! 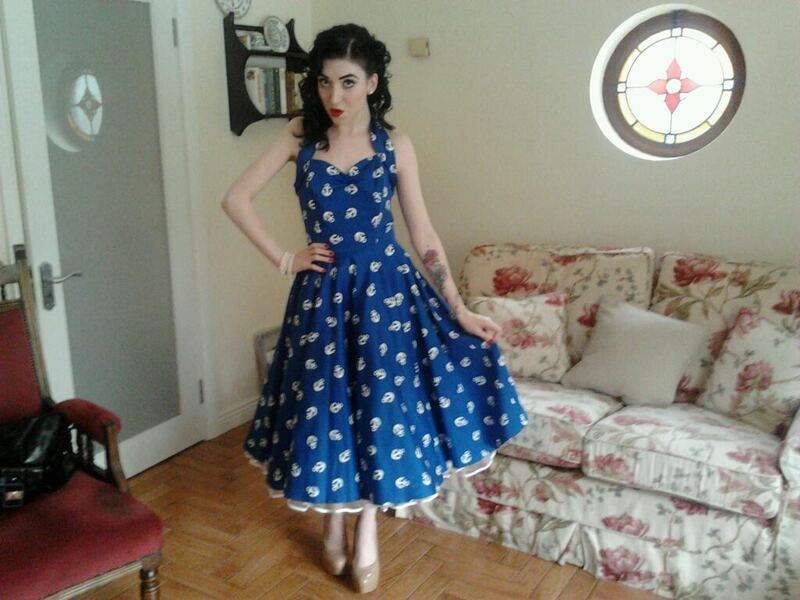 It was so comfortable to wear, and it was brilliant to dance in - the petticoat is a must, it just made the dress! 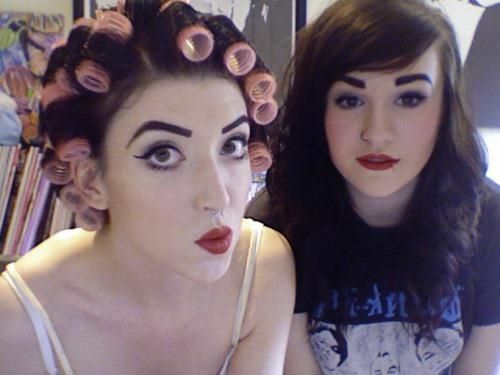 I did my makeup myself and I got my hair styled by a hairdresser, in the 50s style also. I fortunately kept my dress clean all night, so I'll be able to wear it again in no time. 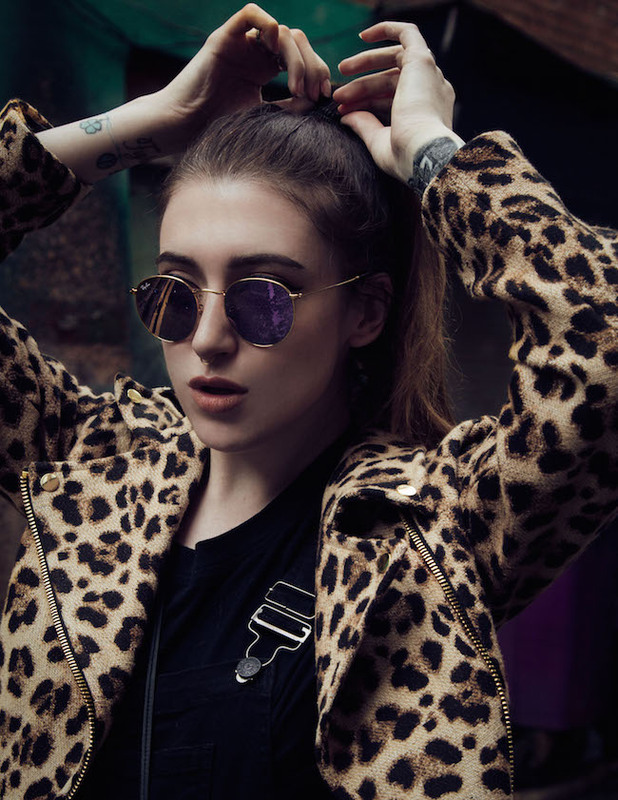 I'm still tired from last night, so excuse this drabby post, but here are some pictures and a video showing you my outfit.. enjoy! I sat under the dryer for an hour, I thought I was going to melt away! Sarah, myself and Aisling on the bus! 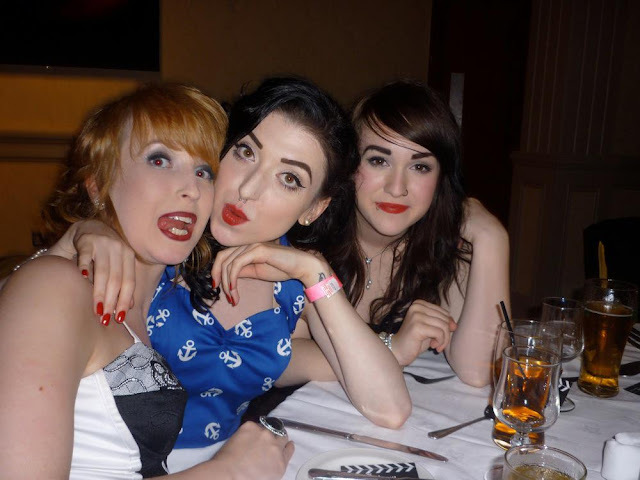 Sarah, myself and Aisling before dinner.